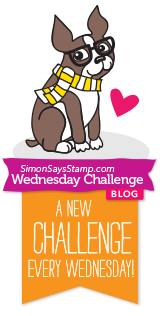 Hello everyone, it's February 1st and we have a new challenge at the Country View Challenges. 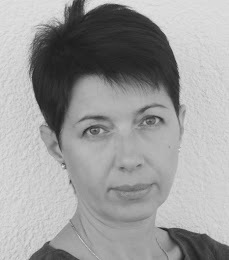 The theme is Black and white (plus one additional colour if you need) and the lovely Sue will be your hostess. For this challenge, I made a black and white Valentine's day card adding the red colour as a plus. The first layer of this card was stamped with Ranger Archival Jet Black ink using Stampers Anonymous Dots&Floral stamp set by Tim Holtz (CMS220). I inked the edges with Black Soot ink and placed on a black rectangle cutout. 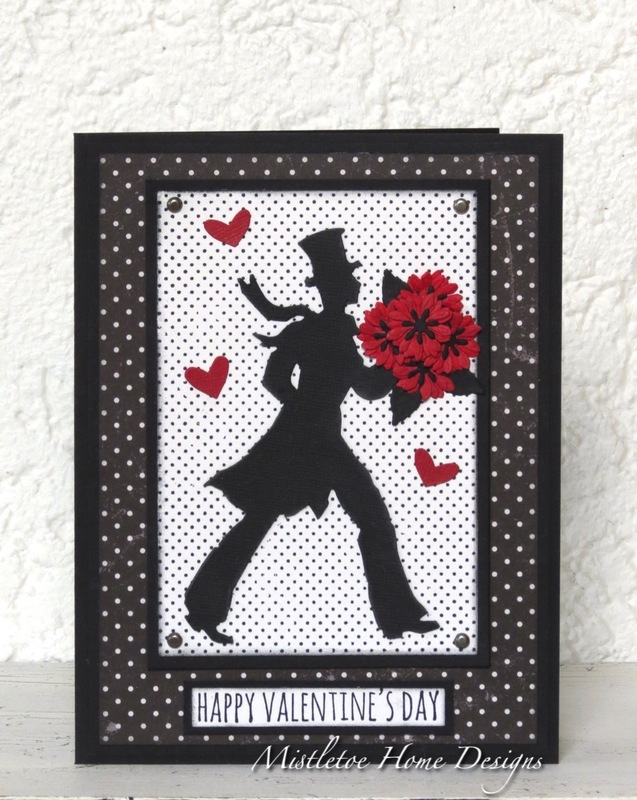 The gentleman was cut out from black textured cardstock with Sizzix Bigz die, Festive Gent by Tim Holtz. For the third layer, I used one of the pattern paper from the Christmas Paper Stash by Tim Holtz. The little hearts were cut out from red textured cardstock using the Sizzix Bigz die, Heartfelt by Tim Holtz. 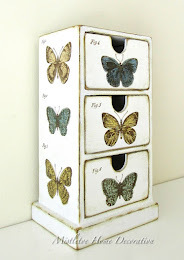 For the flowers, I used the Sizzix Thinlits die, Small Tattered Florals by Tim Holtz. The text is part of the Crazy Talk stamp set (CMS236) and was stamped with Jet Black Archival ink. I also used four brads from the Idea-Ology Long Fasteners. If you have a black and white project, please don't hesitate to join our challenge where you can win a £20 voucher of the Country View Crafts. Wow - those romantic roses really do pop against the b&w. 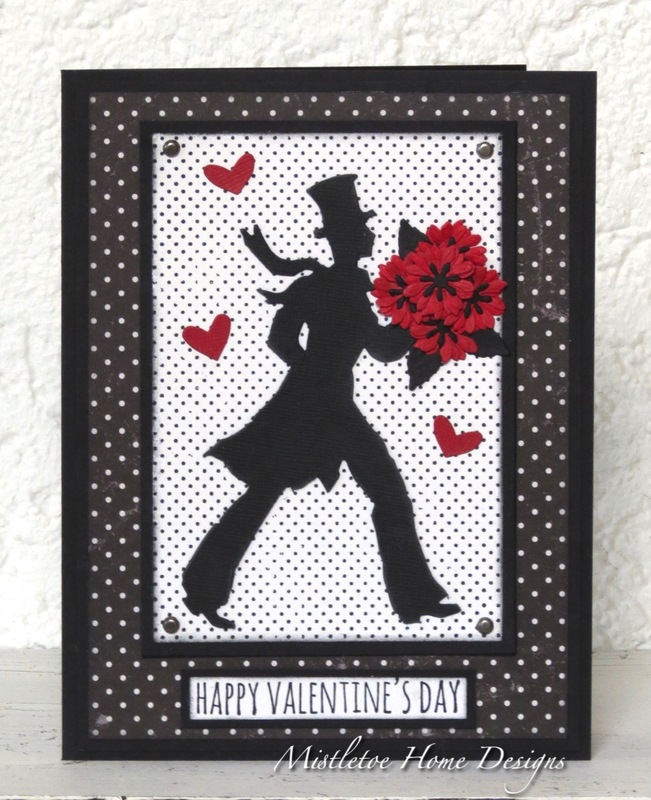 Great use of the striding man for a really eye-catching Valentines card. Oh my goodness! What an absolutely genius idea to use the festive gent as a romantic gent! I would've never thought to do that and I love the end result. The colors pack a punch and the composition is simple but stunning. Thanks for inspiring me to use my dies in more than one way! 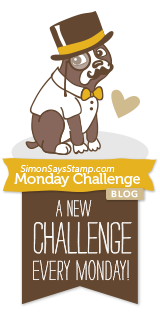 And thanks for sharing your talents with us for this week's Simon Says Stamp Monday Challenge! This is a wonderful card - perfect! This card is so beautiful dear Monika! The gentleman with the flowers looks amazing! Love it!